Registration for the Yarn and Yoga retreat opens Jan 20, 2018. Join us! The Retreat is Full. Email Kate if you would like to be added to the waiting list. $40 materials fee that includes all fibers, supplies, handouts, and use of some spindles and tools (requested in advance) for fiber arts classes. Ten hours of fiber arts workshops. Plenty of “studio” time. Continue working on spinning, knitting, bandweaving, embroidery, etc outside of class in the beautiful spaces available at the hotel. Kate will be happy to work with you one-on-one. Yoga mats, blankets, blocks, etc will be available for use in Kelly’s classes. Evening gatherings that will include snacks, a few evening stretches, and yarn in all of its forms! Access to the hotel grounds. Kate plans to take spindle walks and would love to have company. Good cheer! Kate loves to spend time with fiber folks and will be accessible throughout the retreat. It’s important to her to set a welcoming and inclusive tone in all of her workshops. Coming to retreat alone? You’ll leave with a pack of new fibery friends. Travel to Boulder, Montana. 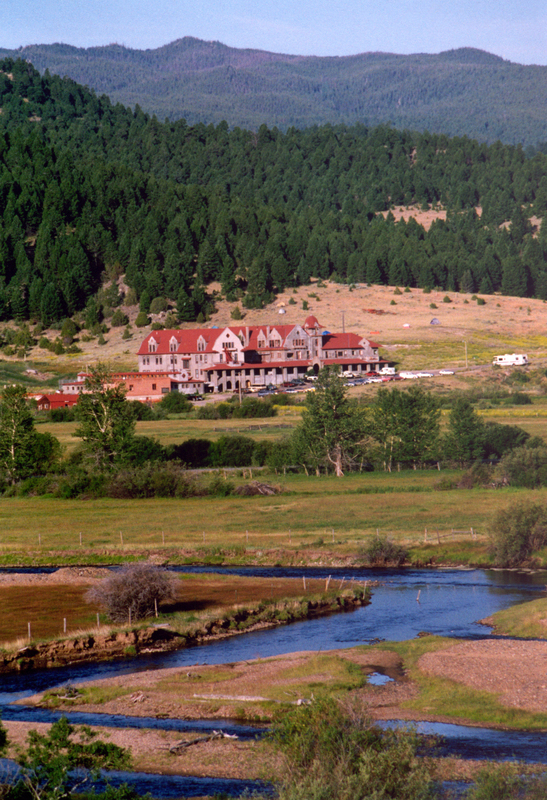 Boulder Hot Springs Hotel (BHS) does not offer ground transportation. Kate and other members of the group can help you get to Boulder. Contact Kate for more info. Massage. BHS has a well-known hot springs and massage facility. For questions about times and rates, contact BHS. Spinning wheels. Please let us know in advance if this is an issue for you, and we can help make arrangements. Cancellation policy: Payment in full is due at time of registration. A 50% refund is available if you cancel on or before August 1, 2017. A 25% refund is available if you cancel on or before September 1, 2017.
optional- $50 registration fee for Thursday Retreat. Contact katelarsontextiles@gmail.com if you wish to send payment by check. Please read cancellation policy above before registering. Guest rooms: $60 per night for one person and $80 for two (+7% tax). Meals: $50 per day ($100 total from Friday dinner – Sunday lunch). Call the hotel to make room and meal reservations: (406)225-4339. A block of B&B rooms are reserved for our event. Mention Yarn+Yoga when you call to receive the rates above.